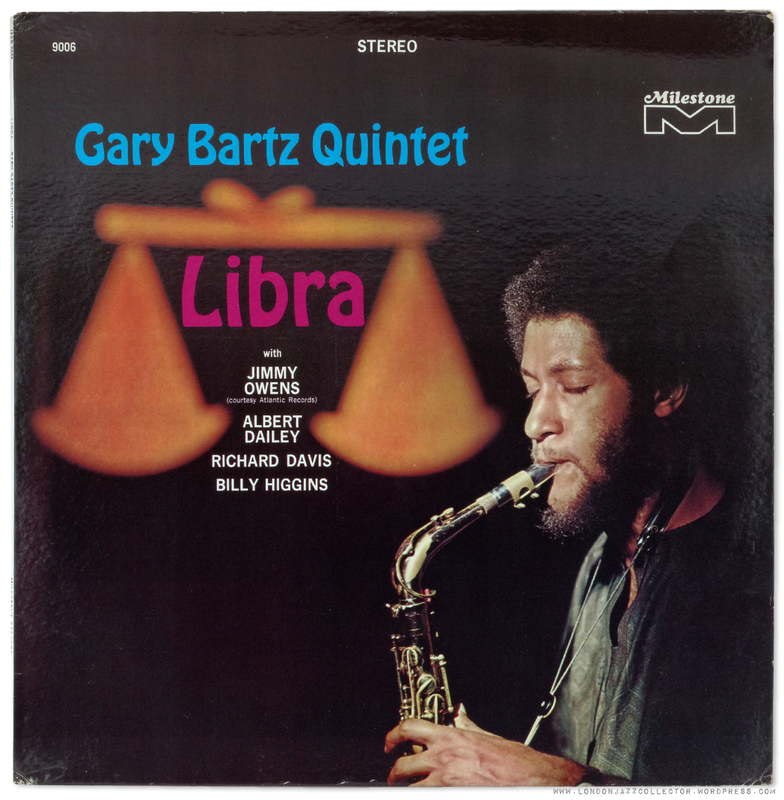 GARY BARTZ: LIBRA and ANOTHER EARTH ! Jimmy Owens (trumpet) Gary Bartz (alto) Albert Dailey (piano) Richard Davis (bass) Billy Higgins (drums) recorded May 31 and June 15, 1967, Plaza Sound Studios NYC, engineer Elvin Campbell. 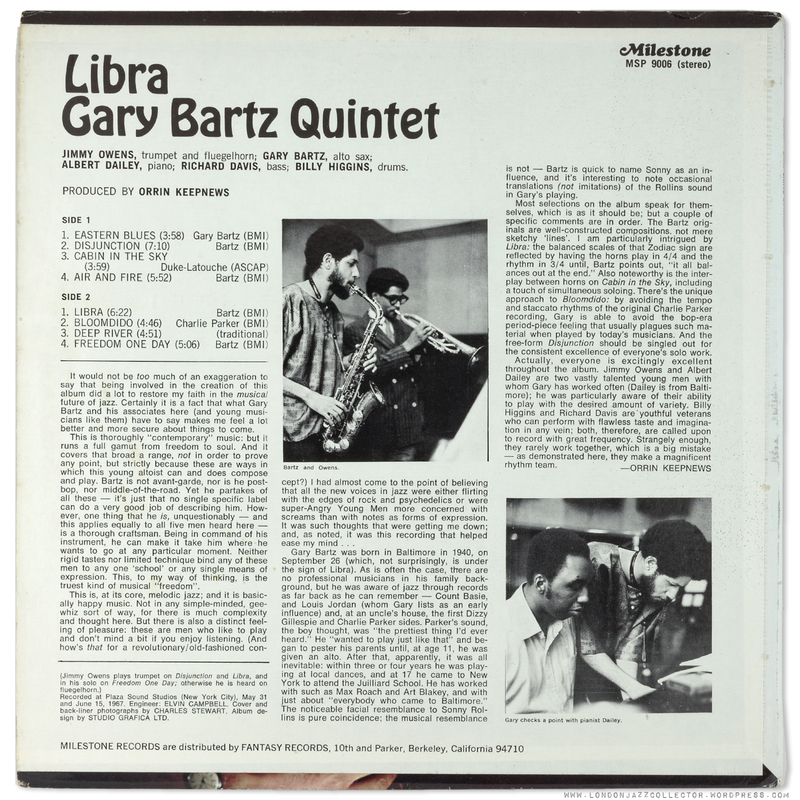 Bartz 1967 debut as leader, Libra is a veritable potpourri of styles, some fairly straight ahead, some post bop, a hat tip to the avant-guard but nothing exceptionally advanced. Albert Dailey I didn’t know but has sparkling piano chops, Richard Davis marvellous walking bass descents from the upper register keeping the rhythm section in the foreground, with Billy Higgins flow of accents around the beat peppering the flow. A hugely likeable album. with a few signposts as to what was to follow. Vinyl: Milestone MSP 9006 Second pressing (early ’70s) by Fantasy Records. Sanders at his most restrained, hoarse throaty bursts like a six-litre Ferrari engine revving up, perfect counterpoint to Bartz’s linear winding nasal melodic explorations. Everybody gets time here to stretch out, the perfect antidote to the three and a half minute single. Sofas are made for this. Gatefolds are a delight. Not only do they have the appeal of arm-sized artwork, you have a double helping within of period black and white artist scene-setting, anchors the music to the event of its creation. Faces, music, hearing and seeing, but just enough without taking over from the music. No “video-vamp” as happens, where the images become the focus of attention and the music becomes the side-order. This is vinyl sound, pure and simple. Vinyl: Cover – a beauty, laminated gatefold, who wouldn’t want this? 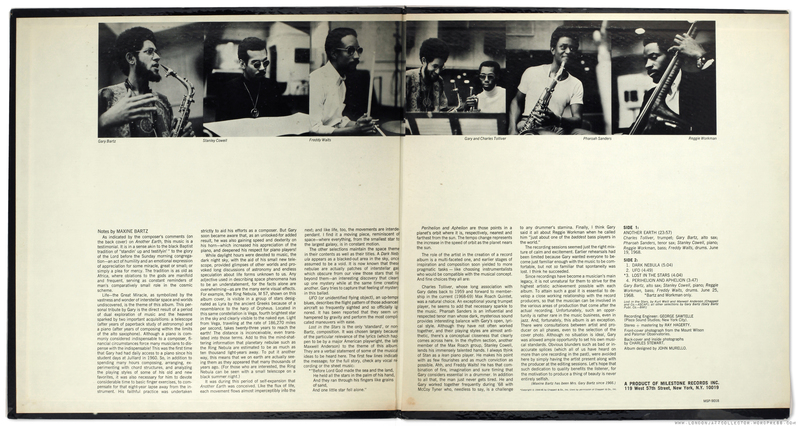 Some of the early Joe Henderson like Tetragon had similarly hi-gloss laminated covers. They are of course impossible to photograph without picking up some lighting glare. Black gloss is impossible to shoot. Milestone pressing plant unidentified – contract pressing from the reference “(MILESTONE”) and side B-1 a second master. I missed spiritual jazz the first time around. I was busy doing other things, typical London British teenager at the time. 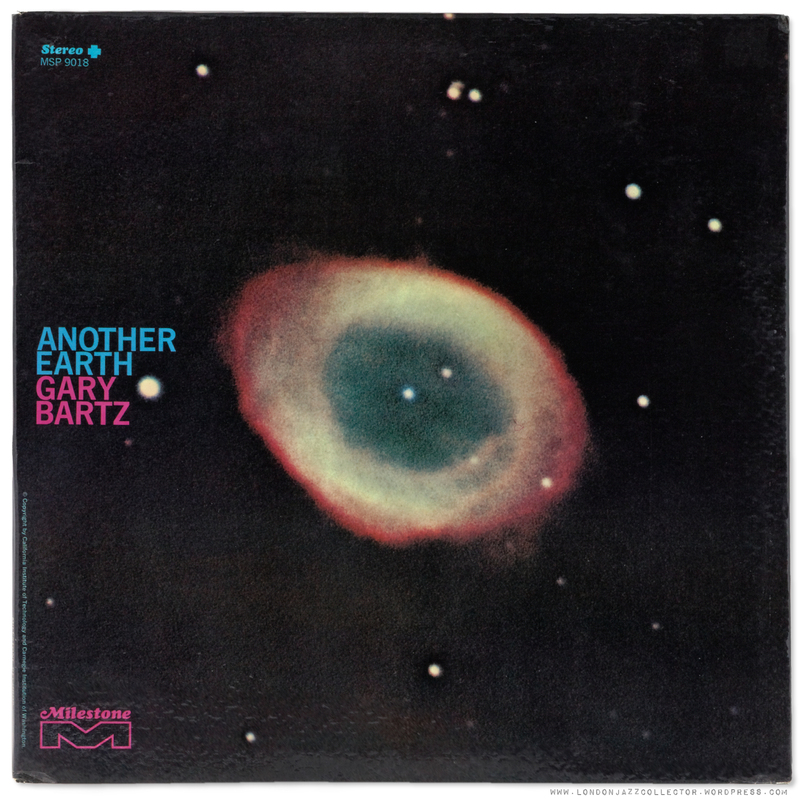 No matter, it sounds better second time around (certainly better than on my student-budget Ferguson portable stereo record player) Bartz holds up well forty years later. 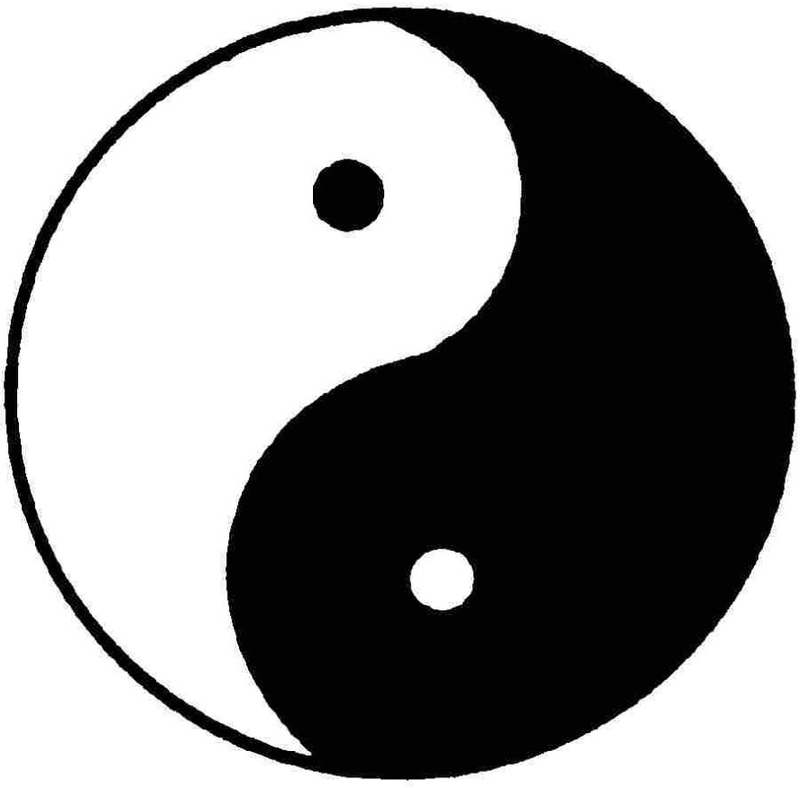 Themes of America in the late 60’s: spirituality and mysticism. Space, Infinity (very big Space) , Infinite Space (later for Nintendo), The Creator’s Masterplan, Star-signs of the Zodiac, a preoccupation with other-worldliness possibly reflecting a dissatisfaction with this world – anti-war, civil rights, and the high cost of getting high. Spiritual jazz set out its travel plan, though the largely student audiences of 1969 had other destinations in mind: Planet Woodstock. Three weeks before Woodstock, on 21st July 1969, the first man walked on the moon. Actually walking on the moon may have been an overwhelming scientific achievement, but had little traction with those who had more ambitious plans in mind, like Infinity, an existential journey, not to be confused with a real one via Cape Canaveral. More recently Bartz has returned to his post-bop home territory, where he continues to record in a more lyrical and earthly direction, his latest release:Coltrane Rules: Tao of a Music Warrior (2012) Below, Bartz, still sporting his trademark afro full head of hair only a shade lighter, pictured here in concert in 2012 with McCoy Tyner, possibly Christian McBride on bass? Good that musicians like Bartz are still here, producing music with a direct line to the heritage of fifty years, but doing it today. Good also that the music they created nearly fifty years ago can be heard sounding as fresh as yesterday on vintage vinyl. 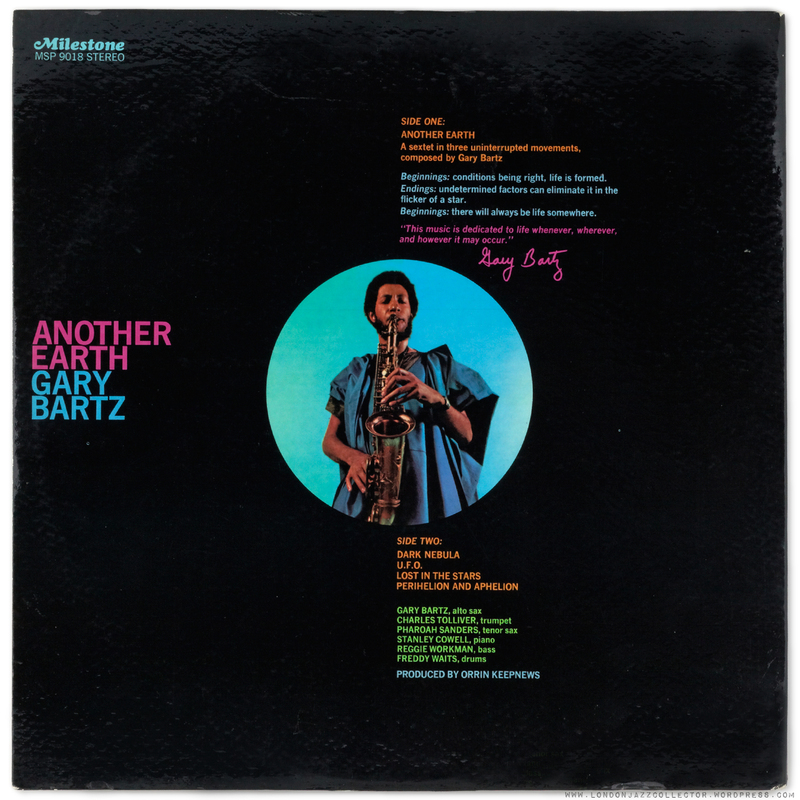 This entry was posted in Gary Bartz, Milestone and tagged Billy Bunter, Gary Bartz, Milestone, Pharoah Sanders by LondonJazzCollector. Bookmark the permalink. I don’t know this record at all, but ANOTHER EARTH is very attractive. Well done. Yet more interesting music. 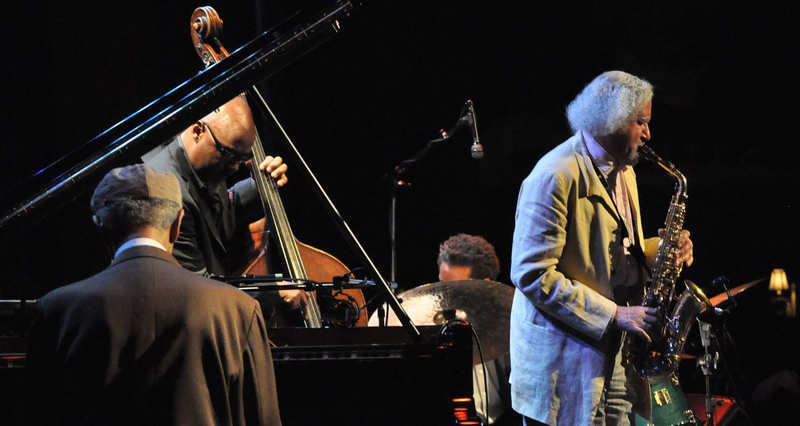 By coincidence, (New York) Jazz Collector went to a performance given by Gary Bartz at a club called Smoke in NYC recently. He enjoyed himself too, as you can read about on his website amidst consideration of expensive record sales at http://jazzcollector.com/features/a-jazz-master-class/#more-6286 I am aiming to visit Smoke in early summer. The bass player on the first track, Richard Davis, also played on Out To Lunch, Astral Weeks and Born To Run as well as the wonderful Heavy Sounds, which he recorded with Elvin Jones on Impulse and which you can read about on my blog. Pharoah. Sanders frightens lots of listeners off, probably because of some of his work on Impulse. I got into him via his later work in the ’80’s and ’90’s which is altogether more approachable. Africa may be a good starting point. I’ve seen him play a few times and he is a venerable treasure, who I hope to see again. There are a few posts about his work at downwithit.info with more to follow. Good point about Richard Davis. I didn’t know he was the bass player on Astral Weeks. He was also Andrew Hill’s bassist of choice, appearing on no fewer than eight Hill recordings. No offence (spell-check!) taken GTF, I write this blog only to ensnare “spell-checkers”. haha, you have a good sense of humor. in all seriousness, we seem to be going through jazzland in reverse order of each other. i first fell in love with bartz, ornette, etc and now much prefer 50’s and early 60’s jazz. i still return to such music regularly, though. great things in these sounds. i like longer tracks because the artists, especially great ones like pharoah, can really build and sustain a climax with that much space. i tend to find myself enjoying ornette less and less because of the tone of that damn plastic alto, but this is something i very much enjoy. will have to seek it out. Time to get a copy editor, LJC? Interns are cheap these days. Oh bugger! “The American ‘offence'” is what I meant to write. I’ve just blown my chances of being LJC’s copy editor intern! WordPress auto-correct is a little devil, it gets in there without me noticing it. Of course of I turn it off, you will see how dreadful my spelling really is. Many times I’ve read a piece that has nothing (of interest) to say but is spelled and punctuated perfectly. Not suggesting these things are not important, but content beats spelling and punctuation every time. If on the other hand the content is poor and badly spelt, a good kicking is in order. There are so many Gary Bartz jewels that deserve attention, but these two are superb as well 😉 It’s also no surprise that on the Evil Silver Disc, both albums have been released on one CD. And for the scientists amongst us: the cover photo of “Another Earth” is an early shot of the Ring Nebula aka Messier 57. 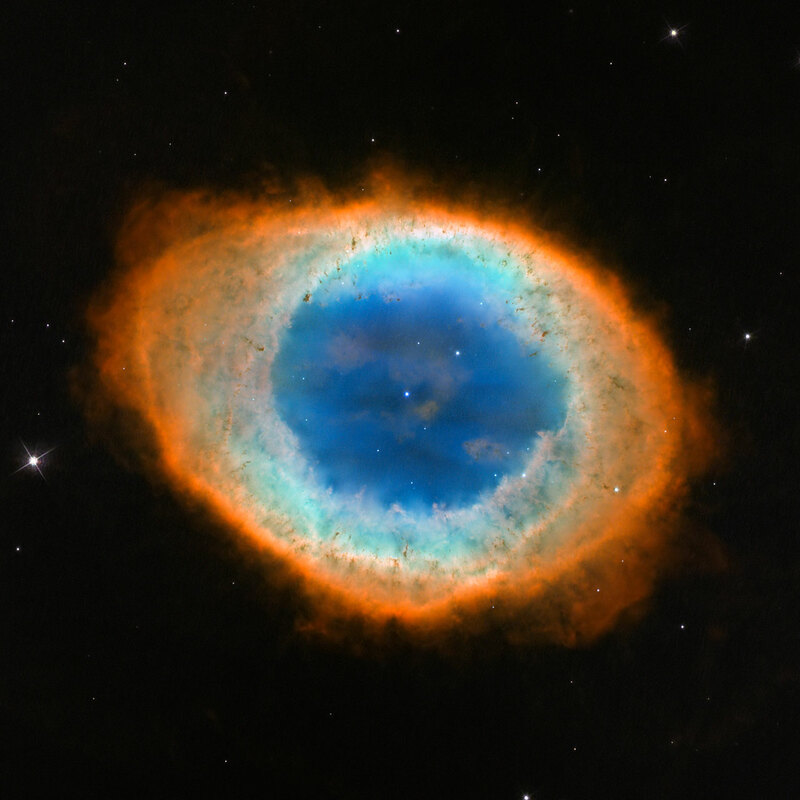 It has been revisited by the Hubble Telescope many times, but on May 23rd 2013 it took the sharpest and most detailed photo of the Ring Nebula. Just look at it. All this passed me by, back in the day. Think my attitude to this kind of jazz back then was a bit misguided by reading too much about it, rather than listening to it. Thanks for reminding me to keep delving – there’s still loads out there that needs to be listened to….. Thanks for another interesting article. The “spirituality” of 60’s jazz is an interesting area to explore. Maybe you’ve heard some of the Charles Lloyd of that period (1967-68) on Atlantic with Keith Jarrett, Jack DeJohnette, and Cecil McBee. Of course, Jarrett and DeJohnette still play together to this day. Can׳t listen at the moment but both albums look really interesting – and enjoyable reading as always. Nice to see some spiritual jazz getting the LJC treatment, lots to be explored here ! Of course, I knew that (red face) Fixed. Now we have got “spelling” out of the way, anything to add about the music? i never listen to music. i only read this blog for the spelling.